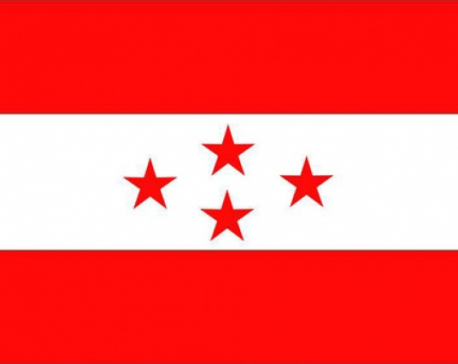 POKHARA, April 11:Election Commissioner Ishwori Prasad Paudyal has ruled out the possibility of raising the number to local units for now, stating the upcoming local-level elections may not take place if done so. In a recent meeting between the government and the Election Commission (EC) to discuss the plausibility of increasing the number of local units in provinces 2 and 5, the EC had said it would not be possible to conduct the elections on the slated date (May 14) if any changes were made to the local structure. "There are 744 local units and we are not going to increase the number, no matter what," said Election commissioner Paudyal, adding the election body has been making preparations only for the 744 local units, and it's already late to make new arrangements. "We have trained chief election officers, election officers, security forces and workers only for those 744 local units and it will be challenging for us to manage more staff within such a short time." Paudyal said the government wanted to raise the number of local bodies in expectation of a political consensus, but the EC has clearly said doing so will not help. "The EC will make sure any agreement that violates the election law, or obstructs the elections, won't be encouraged," Paudyal said. "It was just a discussion and I don't think the government is doing any homework on that front. So no need to fear." As per the rule, the government should announce polls at least 120 days ahead of the election day. But the government did not do that and the EC had only 83 days to wrap up the preparations. "We are already overburdened and we don't want further pressure," he said. Paudyal also assured the elections would anyhow be held on the scheduled date, and urged the locals not to waste their time running after false rumors and claims.